TD09 - LED Flood Light 100W is manufactured with energy saving, ultra-bright LED technology, which represents the breakthrough of LED technology for high brightness, long life. - Most of the companies, factories, hotels, stadiums, stadiums ... in Vietnam are still using high-pressure metal or sodium lamps (lighting phase) to serve the business. Outdoor or partially inside the workshop. Because of this, lighting costs make up a significant part of the total cost of the business. Recognizing the urgent need of power saving lighting market, AMBEE company has launched the line of LED products with high luminous efficiency and long life. - The first point to mention is the ability to save electricity, AMBEE phase LEDs can save power up to 80% compared with high-pressure lamps with metal ball and Sodium shadow, lights to light. mild and not harmful to eyes. - Especially important is the life of the AMBEE phase shift LED is very high about 60,000h 10 times higher than the same high power projector. - The LEDs show phase when the heat exchanger is around 900C - 1000C, while the metal is about 3500C - 4500C, which makes the AMBEE LED not only save on lighting power but also save power to use. air conditioning or ventilation. - AMBEE phase LED lamps are designed with light alloy aluminum body is painted outside with good anti-corrosion. Inside is a high quality LED COB light emitting diode combined with a special aluminum radiator, which makes the lamp stable, durable with high intensity and achieves the highest illumination life. . In addition, AMBEE phase LED lamps are also fitted with tempered glass and heat to withstand the heat of the light emitted, along with a protective rubber rim which makes the lamp can be dustproof, waterproof Water resistance is IP65. - Energy saving and environmental friendly are always the top criteria in every AMBEE product line. LED-free AMBEE LEDs are non-lead and mercury-free so they do not affect the user and are environmentally friendly. Using AMBEE LEDs to illuminate you are contributing to protecting the environment, making our living environment greener, cleaner and more beautiful. - Extremely high luminous efficiency, long life. 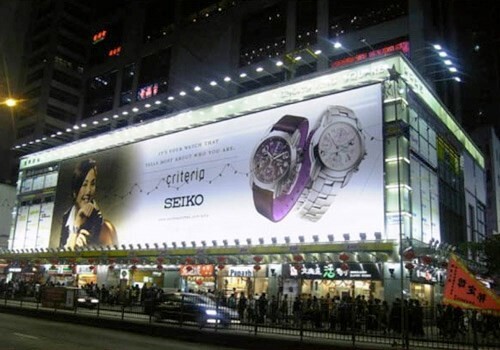 - The latest light emitting diode LED technology. - Electrostatic aluminum alloy body, waterproof with rubber rugs to ensure the lamp works in almost all weather conditions. - Advanced heat dissipation technology, designed for high-grade materials against rust when working outdoors. - 80% energy savings, powerful and efficient heat sink, lamp life up to 50,000 hours. - Tempered glass sheet 4mm thick to protect the light source, the transparency rate up to 93%. - The lamp is covered with high-grade powder coating, excellent anti-corrosion. - Stainless steel parts, corrosion protection of air, water, acid, alkali, salt and other materials, can be used in all kinds of extreme conditions for long. - Free transportation in Ho Chi Minh City within 10km. - Free shipping in the suburbs with over 200 cps. - Free consultancy on saving solutions and investment saving plan.